A thrilling rollercoaster of a story – read it with the lights on! 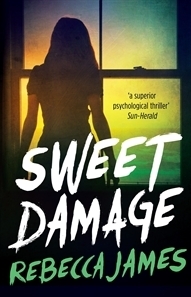 Review- The review copy of Sweet Damage I received was a recent reprint with a new cover. It caught my eye because I’d previously read and enjoyed James’ first young adult psychological thriller Beautiful Malice. 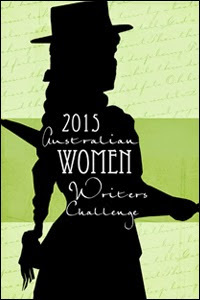 Sweet Damage is set in Sydney and features a small, but interesting cast of young adults. It’s written in first person from Tim’s point of view with occasional scenes dedicated to Anna’s viewpoint. Tim Ellison has just returned to Sydney from an overseas trip and he’s couch surfing at his ex-girlfriend’s (Lilla) house until he finds somewhere to rent. The situation is a little awkward because Lilla’s in a new relationship and she’s eager for Tim to move on. When she suggests a houses hare opportunity in Fairview she assertively encourages him to check it out. Tim’s a surfer and a cook at his father’s restaurant and seems pretty happy just going with the flow, so he agrees to see the house. When he arrives, he’s in shock. The house is more like a mansion and he’d only be sharing with one young woman named Anna. To Tim, she’s a little weird and timid but he doesn’t think much of it and he moves in immediately. Tim soon discovers that his new housemate has some odd habits and mental health issues. She’s agoraphobic and fearful of leaving the home. Strange things happen in the night and Tim begins to question the little he knows about Anna London. They soon develop an unusual but easy friendship, much to Lilla’s distaste and she makes it very clear from the outset that she’ll make life difficult for the budding relationship. It didn’t take long for me to get into this story. Though I initially found Tim very passive and weak, it was a relief to see him grow and challenge Lilla as the story progressed. Anna is a mysterious character, but as her story and the trauma of her past is uncovered I found her to be more likeable. Lilla on the other hand, is very difficult to like! Keeping with James’ style, there’s a twist at the end which came as a slight surprise. Overall I was pretty happy with how the story was resolved, though I didn’t find Anna’s spontaneous recovery (following even more traumatic events) to be very believable. James’ writes enthralling young adult thrillers with likeable characters in familiar settings.